One of the summer's biggest blockbusters — a sci-fi morality tale about aliens and apartheid — is not welcome in Nigeria because of its portrayal of Nigerians as gangsters and cannibals, Nigeria's information minister said Saturday. Information Minister Dora Akunyili has asked movie houses in the capital of Abuja to stop screening "District 9" because the South Africa-based sci-fi movie about aliens and discrimination makes Nigerians look bad. "We have directed that they should stop public screening of the film," she said. "We are not happy about it because it portrays Nigeria in bad light." Akunyili said she has asked Sony for an apology and wants them to edit out references to Nigeria and to the name of the main Nigerian gangster Obesandjo, whose name closely resembles that of former Nigerian President Olusegun Obasanjo. "We have written to the producer and distributor of the film, Sony Entertainment, expressing our displeasure and demanded an apology," she said. "We have asked that the areas where Nigeria and Obasanjo are mentioned should be edited from the film." She and other government officials first saw the movie Wednesday during a private screening. In one scene, Obesandjo tries to cut off and eat the arm of the film's protagonist, in an attempt to gain his supernatural powers. In others, Nigerian prostitutes are seen courting alien customers. The film's portrayal of Nigerians has also drawn the ire of critics and bloggers, and has spawned a Facebook page called "Nigerians Offended by 'District 9,'" which had 57 members on Saturday. Corlize Luttig, marketing manager for the South African cinema chain Ster-Kinekor, who represent Sony in South Africa, said they had no comment on the request by Akunyili. Ster-Kinekor does not distribute to Nigeria, she said. Luttig said they were still waiting for comment from Sony's head office in Los Angeles. "District 9" tells the story of an alien ship that mysteriously comes to hover over the South African city of Johannesburg. 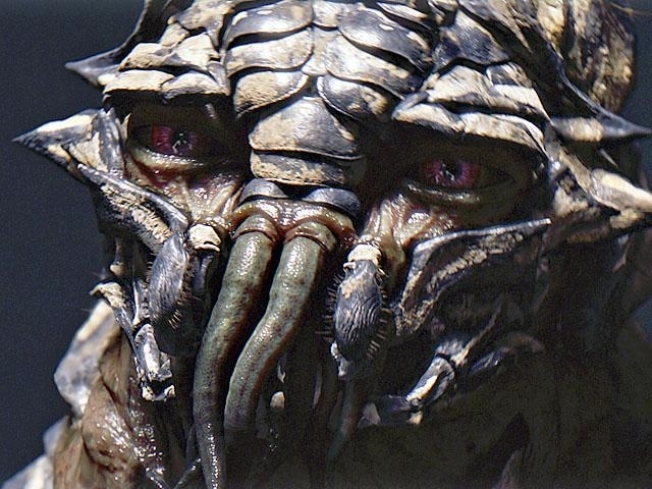 Its inhabitants are separated from the human population and segregated into a walled area known as District 9. But after nearly 30 years, government officials aim to relocate the extraterrestrials, with disastrous results. The film is first feature from commercial and music-video director Neill Blomkamp, who co-wrote the script with Terri Tatchell. The film, which features a cast of mostly unknown South African actors, got its big-name backing from producer and "Lord of the Rings" director Peter Jackson. The film brought in some US$37 million (euro25.16 million) during its U.S. debut weekend in August. In its five-week run at U.S. theaters, it has brought in an estimated US$108,000,000 (euro73,444,406.66), according to studio estimates. Associated Press writer Celean Jacobson in Johannesburg contributed to this report.